As I have mentioned before reading can be used to learn the grammar of the language you are learning. However you can learn other things whilst you are reading. Most people read for meaning and vocabulary but in reality there are other things you can learn by reading. I recently conducted a training for English language teachers on WizIQ via a webinar where I showed just how reading can be used to encourage their students to read more carefully. By reading more carefully, readers can many times get the meaning of words or phrases without referring to a dictionary. Dictionaries can be a great help in learning a language, however its over use can actually cripple your language learning powers. That may be too strong a statement for some of you, however after having taught many hundreds of language learners from most countries of the world, I have seen it with my own eyes. What happens is that over use removes the need to read carefully to try to work out the meaning. 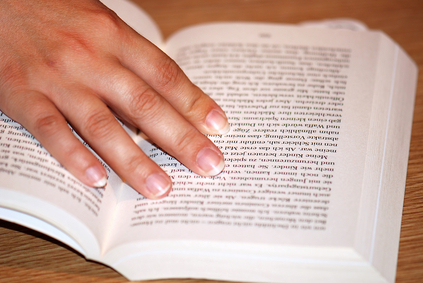 As a result readers may inadvertently learn to become one dimensional in their reading. This extends far beyond reading as your mind starts to adopt an attitude of getting a quick answer from somewhere and not having the understanding that meanings can be worked out on the run, as it were. An attitudinal shift can improve your language learning! The understanding that language is like a puzzle, where you have to search for and workout the answer is at the core of effective language learning. Reading a text that is not tooooo(!) hard is great for that. The underlined word might cause some people a problem. So even if you did not know what it meant exactly, if you read the meaning behind the sentence you could easily enough get a sense about the word – from the grammar and from the meaning of the sentence. Your guess might not be exactly right but it may well be close enough for you to keep reading and not have to stop to know what it meant exactly. The language teachers amongst you might like to refer to the page that I set up for the teachers who participated. There is quite a bit of discussion there about these issues.